Dealing with my own skin issues is tricky, but now that I have a baby to care for, I am always looking for great products that are both useful and gentle. I was asked by my friends at BabyCenter to review the Aquaphor Baby line from Eucerin recently and I decided to give it a try. When Oscar was born, I had one baby brand in mind for him. I loved the company, the way it smelled and even the design on the bottles. Sadly, he developed an enormous rash when we tried to use it, so back on the shelf it went. It happens. Even the best of intentions don’t always work out. So I have spent the past couple years trying out different brands and types of baby wash, lotion, diaper cream, ointments, etc. And it never ends really. There will always be something new to try. I was sent the Gentle Wash and Shampoo as well as the Advanced Therapy Healing Ointment and I have to say, I was really impressed. I like that the Gentle Wash and Shampoo is tear free and colorless. Oscar doesn’t like having his hair washed and says “no soap, no soap” (which is pitiful) so this one is a biggie for us. The wash feels very clean and doesn’t leave a residue. I tend to prefer something with a little bit of fragrance but I appreciate the simple formula and I can let that go for the sake of skipping a yucky rash! 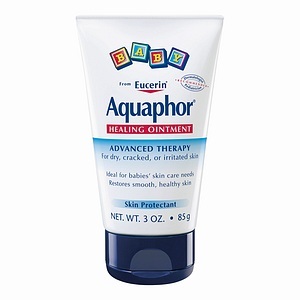 The Aquaphor Baby Healing Ointment is pretty much amazing. I don’t even know if I will share it with Oscar because so far he hasn’t needed as much as I do. I am plagued with terribly dry skin and in the cold winter months, it cracks and splits and hurts like crazy. Within minutes of using the Aquaphor Baby Healing Ointment, my sore fingers felt better. This is going in my daily use spot on the bathroom counter and I plan to keep smaller tubes in my purse! And of course, if Oscar ever really needs it, we’ll be all stocked up so I’ll have plenty to share. I have to say that I am particularly drawn to packaging and this was a brand that I never really paid much attention to. But the old adage is true; you can’t judge a book by its cover. 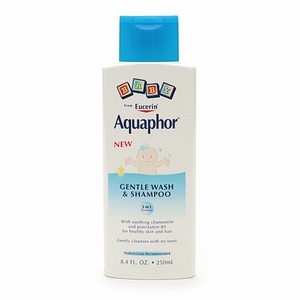 If you haven’t discovered Aquaphor Baby yet, give it a try! You might be as pleasantly surprised as I was. Do you have a favorite lotion to combat dry skin? Share it below! This post is sponsored by BabyCenter in conjunction with the BabyCenter Blog Network. All thoughts are my own. We swear by Aquaphor and Cetaphil in our house. We still use a department store, good smelling shampoo for my little guy but the lotion by Eucerin is perfect. Love it! We use both of these products for Tessa because of her ecezma. We should have bought stock in these products because of how much we go through it. The ointment can get pricey due to how much we use it but I found that Walmart does carry their own brand of it if you are ever in a penny-pinching moment and need this stuff (and it works just as well). We are actually running out of the shampoo and it is on my list to get more of. What I love about it is that you can use it as a body wash too. I will use it for both when we are traveling so I don’t have to pack two different items. By the way I love your blog posts and try to catch up once a week. 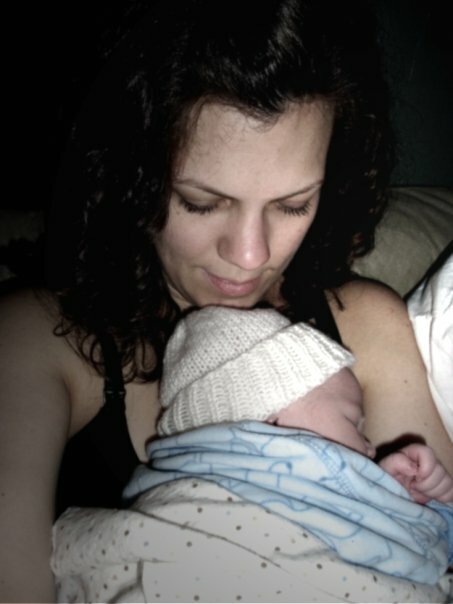 It is nice to hear what other mommies are doing and up to!! Thanks for sharing! !